A friend in need is a friend indeed – this is someone who looks out for others. Sometimes we just get that gut feel when another person is not acting normal, or looking miserable or just totally unmotivated. 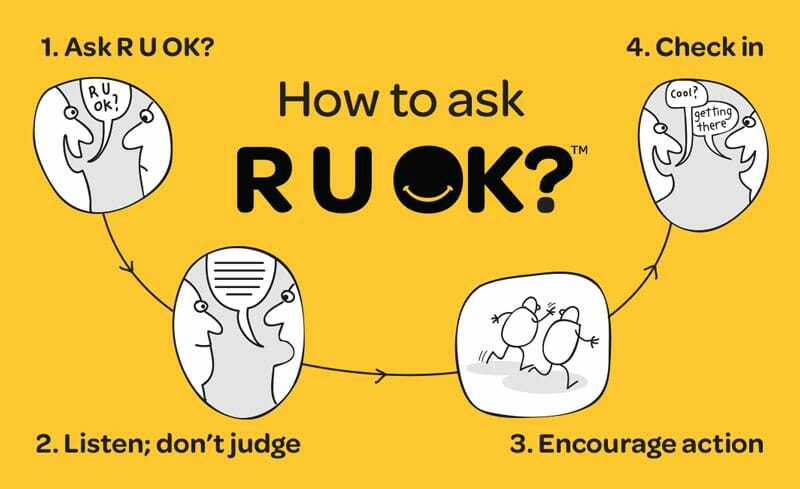 At that point, a simple “R U OK?” can actually be a hard question to ask. What if you got the wrong end of the stick? Well, that’s ok. You asked because you care. And more likely, they will think it was nice of you to ask anyway. But what if they say they’re not fine..what then? The R U OK? 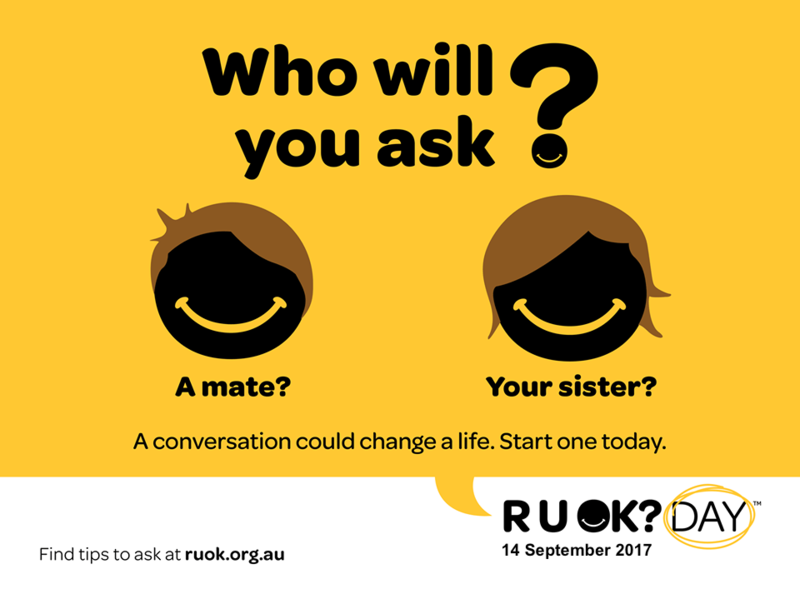 organisation is a suicide prevention charity that aims to start life-changing conversations. Ask yourself if you’re ready to accept whatever answers come your way. Do you have time? There’s nothing more off putting than checking your emails when the other person is pouring their heart out. Listen and allow a conversation to unfold. The hardest part is getting someone to open up. So by listening, means you’re half way over the hurdle in starting a life changing conversation. Well done! You need to assess what you’ve just heard. If you don’t know the answer to it, then two brains are better than one – try working it out together and encourage baby step actions. The support is what matters. Don’t forget to follow up and see how things are going. A conversation should not a dead end. Ask the question and save a life…if it’s not that drastic, it’s still great to help save the day!